Nintendo has announced a pair of new colors for it’s Nintendo DSi family themes just for the holidays (or for those who really love these colors). The new orange and green Nintendo DSi will hit US retailers on November 26 for $149.99 USD. Both carry a free DSi game, Mario Party DS (Japan still have the better part of the deal with the Pokemon Black & White DSi though). 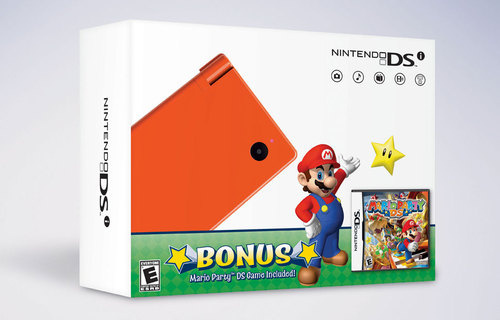 If these colors aren’t your thing, then you better look for the DSi version of Nintendo’s celebratory Mario hardware which packs a red Nintendo DSi Xl, Mario Kart DS, plus pre-installed copies of Brain Age Express: Arts & Letters, Brain Age Express: Math and Photo Clock for just $179.99 USD.